Chiropractic Care Was A Perfect Fit! 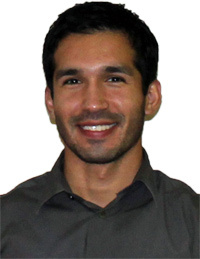 Dr. Mark Salinas, the reputable Chiropractor in Alice, is a native of South Texas where he was an active member of the community, an athlete and an honors graduate from Bishop High School. At a young age he knew he wanted to pursue a career as a healthcare professional. Experiencing first hand from a close family member the effects that herniated discs and sciatica can cause to an individual, Dr. Salinas knew that chiropractic was the path to pursue. After high school he attended Texas A&M University Corpus Christi. While pursuing his bachelors degree Dr. Salinas stayed active in the community, volunteering at various non-profit organizations such as KEDT and also became an active volunteer at Driscoll Childrens Hospital. In 2006 Dr. Salinas earned a Bachelors of Science in Biology from Texas A&M University Corpus Christi. Shortly after he moved to Houston to attend Texas Chiropractic College in Pasadena, Texas where he graduated in 2010 with a Doctorate of Chiropractic. Coming back home to South Texas, Dr. Salinas knew this was where he wanted to provide quality care to the community with the use of chiropractic manipulative therapy, myofascial release, therapeutic exercises, rehabilitation and manual therapy. As one of the Chiropractors in Alice, Dr. Salinas believes it is important to practice what you preach and thus stays physically active on a regular basis. Whether its going for a good run, lifting free weights, or resistance training, he believes it is important to stay active and take care of your body. Dr. Salinas is eager to work with individuals inside the office as well as outside in the community. He is currently an active Member of the Alice Chamber of Commerce Ambassadors and a member of the Alice Rotary Club. Contact Jim Wells County Chiropractic now to schedule an appointment.